Casino bonuses on the face of it can often seem too good to be true. How can these guys afford to offer you so much in free money just to play games? The reality is online casino gaming is a hugely competitive market with relatively low costs (compared to a land based casino) and this means a lot of value is passed on to the player. The UK is also one of the biggest regulated markets in the world meaning British players have more choice and better deals than anywhere else. Bonuses are designed for you to get free funds that can be used to try out a brand to see if you like them. Therefore they come with wagering requirements (see later). You may or may not end up with cash winnings once you’ve used your bonus but the most important thing is you get to try out the site with minimal amounts your own cash. Most bonuses tend to match a proportion of your deposit, but remember you don’t have to take the maximum amount. Most minimum deposits are as low as £10. Below we have a selection of bonuses and offers listed, including no deposit offers, with a welcome deal (new customers only, 18+, T&C’s will apply) to suit all types of player. Further down you can read about how these bonuses work, things to look out for and how to claim. T&C's Apply. New Customers Only. 18+. Begambleaware.org. 35x wagering applies to Bonus Cash and Free Spins. Deposit of £20+ unlocks a 100% Match Bonus up to £100 in Bonus Cash, subsequent wager of £20+ on slots unlocks 100 Starburst Free Spins and 100 additional Free Spins (20 per day over 5 days). BeGambleAware.org. No deposit free play from £15 up to £888, claim within 2 days of receiving email after sign up. Bonus then valid 14 days, max winnings equal to free play amount, unless jackpot win. First deposit bonus from £20 up to £100 (except Neteller/Skrill), max winnings £500, valid 90 days. Both bonuses carry 30x rollover with various game contributions. Double your first deposit with bonus cash up to £100 (minimum deposit £10), i.e. fund £100 get £200 to play with. The bonus is valid for 30 days and comes with 40x wagering requirements (see Rizk for game weightings to play through), max £5 / bet. Also get 50 extra spins for selected slot games, awarded 10 each day for the first 5 days, each valid 24 hours, wager winnings 40x also for withdrawal. Befair offer several casino bonuses depending on which section you would like to play in. Visit Befair through the button below to see a list of available offers. 11 welcome spins on first deposit for a random game, 7 days to activate and use within 24 hours, no wagering of any winnings required, no max cash winnings. Also get 100% up to £200 on first deposit, 20x play through of bonus (see Videoslots for game contributions) in 7 days. Each time you wager 10% of your bonus it will be paid in cash (jackpot games do not contribute to conversion), max bet/spin 50% of deposit up to £20. 20 free spins in Starburst on registration. Bonuses are on opt-in basis. Min deposit is £10. 30x wagering requirements apply for bonuses and winnings to be withdrawn. Contribution % towards WR vary from 0% to 100% according to game. Participation of new customers in the Welcome Offer requires a £10 minimum deposit. Always refer to Bonus Terms for more info. 100% bonus on first deposit (except Skrill or Neteller) from £10 up to £200. 40x wagering requirement in 14 days (see site for game weighting to play through), £5 max bet slots, £30 other games. Free spins for a specific slot awarded once £5 has been wagered, given at a rate of 20/day for the first 10 days. Spins valid 24 hours from credit with same wagering requirements on winnings, max withdrawable from spins £100. First deposit 100% up to £100 + 50 bonus spins, second deposit 50% up to £100 + 25 spins, third deposit 100% up to £100 + 25 spins. Wagering required 50x deposit + bonus amount (game contributions vary, see PH full terms for details) within 30 days of award, £5 max per bet, maximum withdrawable from bonus = 10x bonus amount claimed. Spins are valid 7 days each, winnings as a bonus subject to same wagering as main bonus. First 3 deposits only, min deposit £10, max bonus £500 and 100 spins on selected slot game. 30x wagering (dep + bonus) on selected slot games only, maximum withdrawable after wagering equal to 5x bonus amount. Join and deposit £20+ and within 72 hours receive a £20 bonus. The bonus must be wagered five times (i.e. 5 x £20 = £100) within 30 days from the first deposit in order to withdraw any bonus winnings. New customers only. 1st dep, min. £20. £1 on Dream Catcher on 1st day + 10 Spins on selected games p/day on following 5 days. Spins wagering x35 in 30 days. Game weighting applies. When deciding on what online casino site to play at, it’s important that you understand what the various casino bonuses are. Bonuses are offered to get new players to sign up to that specific casino site. There are many different bonuses offered, which we will cover in the next section of this guide. The first type of offer we’ll talk about is the most lucrative, the casino welcome bonus (aka sign up bonus). These are restricted to new customers and can normally only be claimed once per player. Here you receive a bonus on your first deposit as a way of saying thank you for choosing to play at that casino. Different casinos offer different percentage bonuses and the amount you can claim also has a limit. One of the most common bonuses is a 100% deposit match, which also means that they will double your very first deposit – so if you decide to deposit £100 you will receive £100 in casino bonus funds free, giving you a total of £200 to play with. You’ll also see plenty of 200% bonuses, where a £100 bonus receives a £200 bonus – giving you a £300 starting balance. Normally speaking the bigger the match percentage the bigger the wagering requirements, meaning you’ll need to play for longer before withdrawing your bonus or winnings, but we’ll get to that later on. There are some online casino sites that want you to try before you buy, this can come in the form of free spins to use on selected slot games or as a bonus to use however you like. Free Spins – Usually on specific games or on a selection of slot games. Here you’ll get to spin without making a deposit, but the winnings are yours to keep (wagering requirements will normally apply). No Deposit Bonuses – Similar to the deposit bonus we mentioned above, but no deposit is needed. Here you’ll receive bonus cash to play with as you like (usually with some game restrictions). Once you’ve met the wagering requirements the winnings can be withdrawn. The majority of online casino sites will stipulate a maximum amount that can be won from these bonuses – they are, after all, completely free. Whilst they don’t require a deposit you may also be required to register a debit card to prove your identity, or make a deposit to be able to withdraw winnings. Whilst new players do get the biggest and best bonuses, that doesn’t mean that once you’ve signed up you’re forgotten about. Most casinos also offer bonuses and run loyalty schemes for their existing customers. A decent rate for conversion to cash is £1 per 100 points, which effectively works out at £1 in free money for every £1,000 wagered on a game. Not something to shout of the roof tops, but a nice little regular freebie to help top up your account. Loyalty points are also often linked to VIP schemes and determine your VIP level. Higher level VIP’s then tend to be able to convert comp points to cash or bonuses at a better rate, or are able to accrue them faster. Here the casinos give you money back, either as bonuses or in real cash, based on the amount of money that you have lost within a certain period. To qualify you simply need to play at the casino. At the end of a set period (eg: a month) the house will calculate how much you’ve played and how much you’ve won or lost. If you end the period down, a proportion of your losses is refunded from in the form of cash back ranging from 5% up to 25% depending on the casino. Promotions vary and it can include cash back on losses on various games or just one particular game. If you manage to win and accumulate a profit, you obviously won’t qualify for this cash back bonus. The literal opposite of a cashback bonus. Some casinos will top up your winnings if you have a profitable day, week or month. These types of promotion are less common but offer a great opportunity to make a big win even bigger. Normally these types of promotion are limited to specific games and times rather than being available all of the time, and you’ll often see special events such as ‘Blackjack Monday’ or ‘Slot Sunday’. Does exactly what it says, it will reward you with a casino bonus when you successfully refer other players. 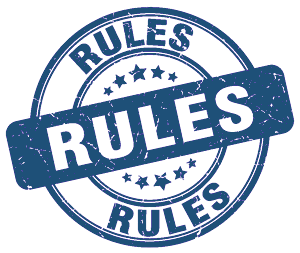 All online casinos have different terms and conditions but you have to refer your friend, they have to say you referred them (or produce a player code), then they have to make the minimum deposit displayed in order for you to receive your bonus. The casino bonus received will allow you to play for free but in order to withdraw, you will have to meet wagering requirements. If you have to insert a casino promo code in order to obtain your bonus, make sure you do so at the point of making your deposit. If you fail to put the code in, you won’t get the bonus. 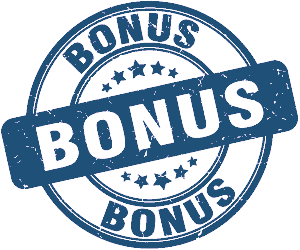 Sometimes you will have to request the bonus, so always read the terms and conditions attached to any bonus. Always, always check the wagering requirements before deciding whether to accept any bonuses. Before any winnings are paid out, the casino will want you to prove your identity – this is standard procedure so don’t panic. You will have to provide photographic documents such as a driver’s license, your credit card details and recent utility bill to prove you are who you say you are. If you think you can sign up to an online casino site, deposit and get a bonus and walk away with it, you are very much mistaken. Every casino bonus offered will have terms and conditions and sometimes it’s far better to accept no bonus, than accept one that has almost no chance of you winning from it. It all comes down to the wagering requirements – this is the minimum amount you’ll need to play before withdrawing the winnings from your bonus, as well as the bonus itself (if it’s withdrawable). For Example: If you deposit £100 and receive a £100 bonus you’ll have a £200 casino balance. Applying a reasonable wagering requirement of 30x the bonus that means you’ll need to bet £3,000 on casino games before withdrawing. The wagering requirement (WR), sometimes called the playthrough requirement or rollover requirement, is usually given as a multiplier of either the bonus or the bonus plus the deposit. This will tell you how much you have to play before hitting the cash out button and heading to the pub. There are various promotions that have different wagering requirements, so it’s vital that you always read the terms and conditions attached to absolutely everything that you’re offered. Most casinos will also apply weightings to their games so that games with a very low house edge, such as blackjack, count less towards the playthrough requirement. This means that £1 bet on slots counts for £1 towards the wagering requirement, but £1 bet on roulette counts for 25p meaning you need to bet 4x as much on roulette as you would slots. Whilst this may seem unfair if you’re more of a blackjack player than a slots player, it’s almost a universal rule now and one that’s found at pretty much all online casinos to bring the wagering requirements in line with the house edge of the game. When you’re offered a casino bonus, you may have a short period of time to claim that bonus. You may sign up and decide not to deposit for a week – that’s all well and good, but check the expiry on your bonus as some only last a day or two. If you need a promotional code, make sure you request one and insert it into the cashier. Any deposit made without the code may not count towards the bonus. 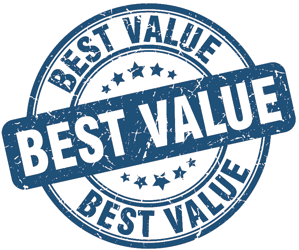 Never take a bonus at face value – again, terms and conditions are there to be read. If you accept a bonus, you will have a specific period of time to use your bonus – if you fail to use your bonus in the time frame specified, you will lose your bonus and any winnings accumulated from it. The final question you may be wondering is whether or not casino bonuses are worth claiming, or are you better off playing without one? Answering this is going to depend on what you want to get out of your casino session. If you want to extend your playtime or try and cash the bonus out by meeting the WR without losing, then a bonus could suit you down to the ground. On the other hand, if you want to play table games or like the idea of a quick hit and run after a bit win, then playing au naturel may be more suitable. Playing with a bonus extends your playing time, meaning more chances to hit the bigger wins and better value from your deposit. You can play bigger than you normally would, so with a 100% bonus your 25p slot bets could become 50p without affecting your play time. This amplifies your wins without increasing your risk, assuming you meet the WR and would have played that long anyway. If the bonus is withdrawable, once you’ve met the WR the bonus becomes real money and yours to take away. You are normally restricted when it comes to the games you can play with your bonus, so if you want to play an excluded game you’ll need to do so without a bonus. All bonuses are subject to wagering requirements, meaning you cannot cash out whenever you like. This means you can’t just after a good win to bank the profits if you haven’t yet met the WR. The bonus received may have maximum stake limits, meaning you will only be able to bet a certain amount on the games.